If you are looking for 3 bedroom apartments in Mayfair, London to rent, you will find that there are quite a number of them. You will also find that the prices at which some of them are quoted are astronomical, which may be why there are a number on the market. No matter how wealthy you are, you don’t want to be “taken for a ride”. Carlton Court in Down Street, Mayfair is somewhat different in that it has five different apartments of varying size, including a 3 bedroom one at considerably less than some others that we have seen. Maybe you might be forgiven for thinking that we have cut some corners, but that is absolutely not the case. It is quite the opposite in fact. This apartment is furnished to the highest standard that you could possibly imagine by the owners whose policy is to provide guests with exactly what they would like if they were living in the apartment themselves. By doing this it ensures that their apartments are let all year round, rather than being empty half the time, so it is a win-win situation for all concerned. It also ensures that we get recommendations from previous guests. So what do you get in Carlton Court? You get a fully furnished apartment with HDTV’s in every room with the full Sky package, and some 2,000 satellite channels broadcast in a variety of different languages. You get luxury furniture and bedrooms with king sized beds which are looked after 7 days a week by housemaids. There is 24 hour security, and you even have a safe in your room which is supplied with your own code to ensure the security of your valuables. High speed broadband is standard, as you would expect. There is a fully fitted kitchen with washing machine, dryer, and dishwasher, and the apartment has underfloor heating and air conditioning. 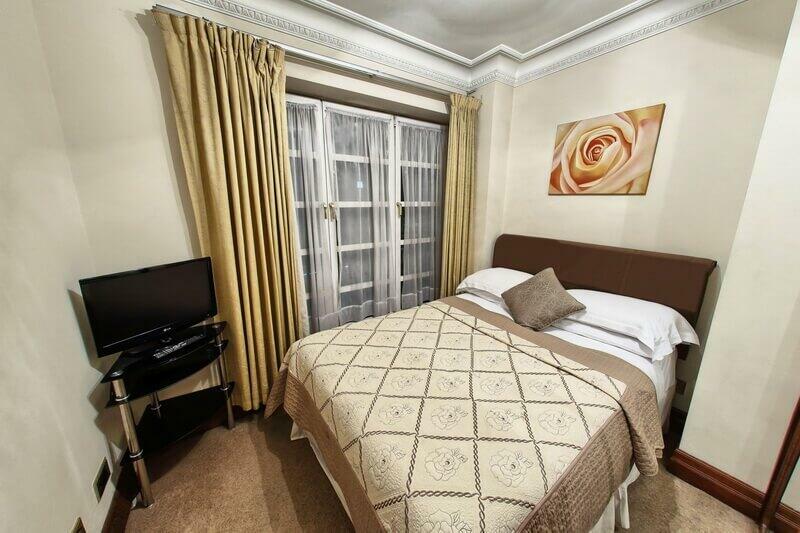 You are within walking distance of Oxford Street, Knightsbridge, Piccadilly, Regent Street, and Bond Street. Carlton Court offers you sumptuous luxury for far less than other apartments which do not provide anywhere near the facilities.